If that happens, it’s exactly what the seven-term Democrat does not need next year -- especially when facing a likely rematch with Republican Mia Love, who came within a hair’s breadth of taking him out in 2012. Matheson has drawn the ire of many within the progressive wing of Utah’s Democratic Party for his votes to kill Obamacare. This past weekend, activist Bob Henline asked the Salt Lake County Democratic Central Committee to condemn Matheson for voting to repeal the Affordable Care Act earlier this month. That resolution failed by a 27-42 vote. Still, Henline is convinced progressives are getting fed up with what he calls Matheson’s “Republican-lite” record in Congress. “I came to this step because I have repeatedly contacted his office via phone and through his website e-mail form about his stand on this issue, and he has yet to respond in any way, shape or form to my concerns. I can accept policy differences, but not responding to constituents is unacceptable. I wanted to send a message," says Henline. That message may be sent in another way: forcing Matheson to spend time and resources to fend off a challenger from within his own party. You’ll remember that in 2010, Matheson was forced into a primary by Claudia Wright, who grabbed 45% of the vote at the state convention. Even though Matheson was able to crush Wright in the primary election, he spent more than $800,000 to do so. That’s money he may sorely need in a general-election matchup against Love, who is raising campaign cash hand over fist. Money is the lifeblood of politics; even a slight wound can cause a fatal bleed in a close race. Some of the Matheson dissidents I spoke with are frustrated that the party continues to back him despite his predilection to vote against his party in Washington. Thus, the likely challenge next year. Challenging Matheson is likely a quixotic effort. Opponents know any challenge against Matheson will likely fail. The best they can hope for is to win enough support at the convention to force Matheson into a primary. The thought is that he will have to move to the left instead of taking his normal centrist stance. That could be extremely bad news for Utah’s lone Democrat in Congress, since Love will almost assuredly have trackers with video cameras following his every step, stockpiling ammunition for the general-election matchup. The only saving grace for Matheson would be if another Republican were to force Love into a primary, as well, turning her focus and resources away from defeating him. 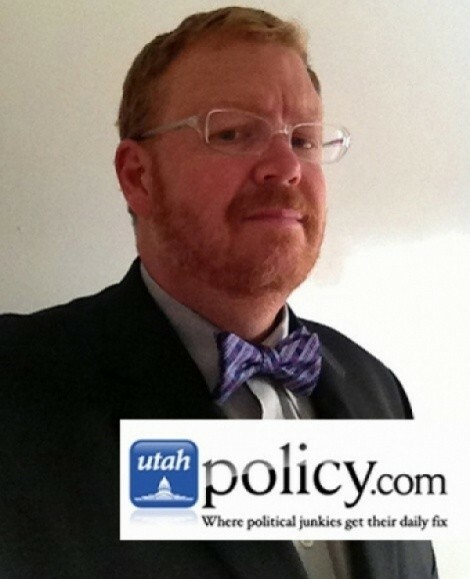 One name that is starting to bubble up as a possible Matheson challenger is Forrest Shaw, a University of Utah graduate and co-host with Jeff Bell on The Left Show podcast. Shaw could prove to be an interesting counterpoint to Matheson, as he’s very progressive and very pro-labor. To the outsider, this plan might seem like Democrats cutting off their nose to spite their own face. Why inflict damage on their only member of Congress because he doesn’t adhere to party orthodoxy? Isn’t that what the Tea Party is supposed to do to Republicans? Forcing Matheson into a primary is a recipe for defeat in November, especially since Matheson represents the most Republican district held by a Democrat in Congress. That’s a risk they’re willing to take since, in their eyes, Matheson is a Republican in Democratic clothing in the first place.